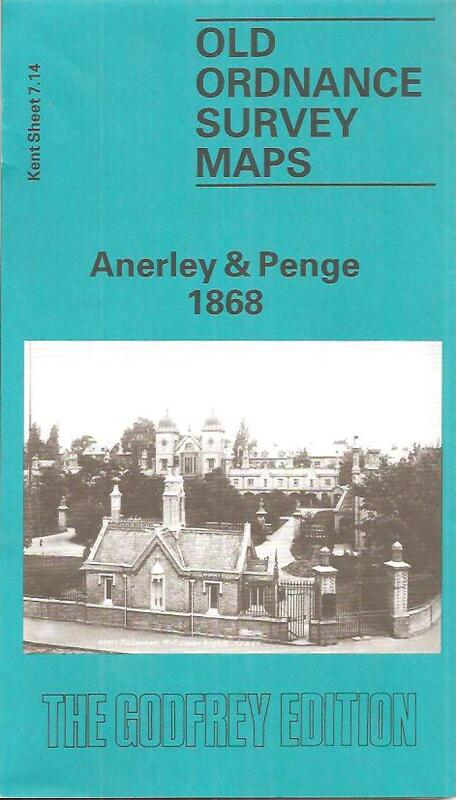 This detailed and early Ordnance Survey map covers the southern part of Penge, together with the area now known as Anerley. To the west it also includes portions of Upper and Lower Norwood. Coverage extends from the Watermen & Lightermens Almshouses at Penge westward to Church Road and The Park at Upper Norwood, and southward to the southern boundary of Penge/Anerley. The Brighton line runs north-south through the map, including Anerley station (which effectively gave its name to the area), joined at the foot of the map by the West End & Crystal Palace line. Anerley Road crosses the railway and other features include stretches of the old canal, Anerley Bridge (in the centre of the map), Norwood Reservoir, Holy Trinity church, St Paul's church, North Surrey District Schools, Infirmary. Many streets are shown half built up, especially off Penge Road. Elsewhere the picture is of villas with leafy gardens but with more modest surburban expansion at the north of the map. On the reverse are street directories for Anerley Road, Croydon Road, Derwernt Road, Maple Road, Oakfield Road, Woodbine Grove from an early Penge directory.